The poet is my friend Lindy Hough. whose last anthology was titled Wild Horses, Wild Dreams. 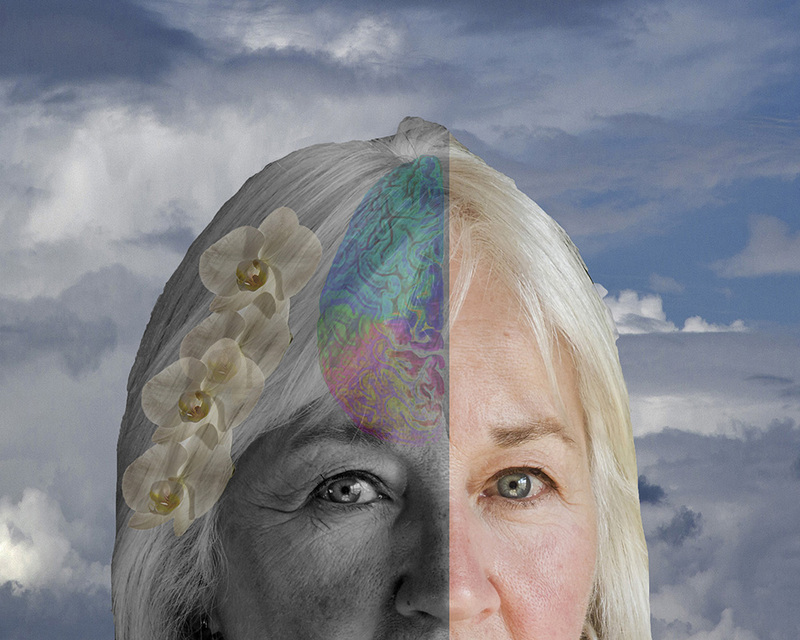 A word on iconography: I placed her head in the clouds; shaded the right portion of her head in monochrome, to suggest the perfect darkroom of the cranial chamber where great ideas are born, here represented by a colorful image of the right hemisphere of her brain, and the rare, beautiful orchids of her work.